The 2015 Berger Southwest Nationals are now history. It was a remarkable event, one of the best-run matches in the country. Over 350 shooters enjoyed generally fine conditions, with sunny skies and warm temps. Records were set, and there were some remarkable performances. The talk of the tournament was Derek Rodgers’s stunning F-TR score. Derek served notice that F-TR rifles can run with the F-Open rigs (at least when piloted by a wizard). Rodgers shot superbly to finish at 1234-56X, just two points shy of F-Open winner Bob Sebold, who shot 1236-63X. 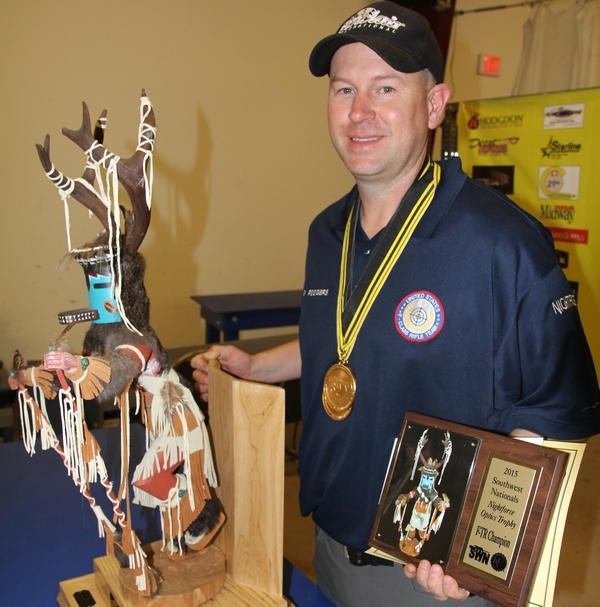 In fact, Derek’s score would have placed him third overall in the F-Open division, one point behind Christine Harris (1235-45X). In sling division, shooting a Palma rifle, Trudie Fay won with 1242-64X. Two points back (at 1238-66X) was last year’s sling winner Bryan Litz. 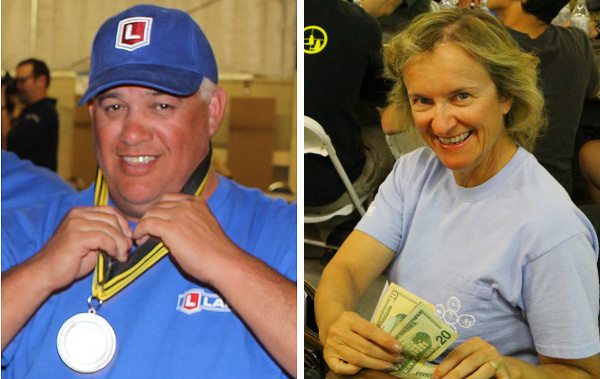 F-Open Winner Bob Sebold loved the bling, but for Sling winner Trudie Fay, “Cash was King”. Christine Harris was one of four talented Harris family members shooting at the event. Husband Scott Harris (1220-46X) took second in F-TR, and son Devon Harris (1203-29X) was F-TR High Junior. 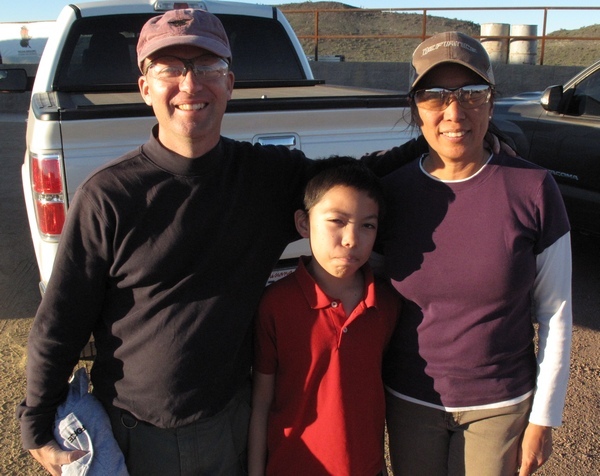 Twelve-year-old Adrian Harris also shot well, piloting a .223 Rem in F-TR. Adrian did great in the mid-range match, beating most of the adults. Dad Scott Harris says Adrian may have set an Age Group record during the SWN. We saw some serious hardware on display at Ben Avery. Here is a beautiful maple-stocked F-Open rig. We believe this belongs to David Mann of Texas. This gun shoots as good as it looks. David Mann scored 1229-57X to finish fourth overall (and High Senior) in F-Open Division. NOTE: Scores listed may be subject to final correction. 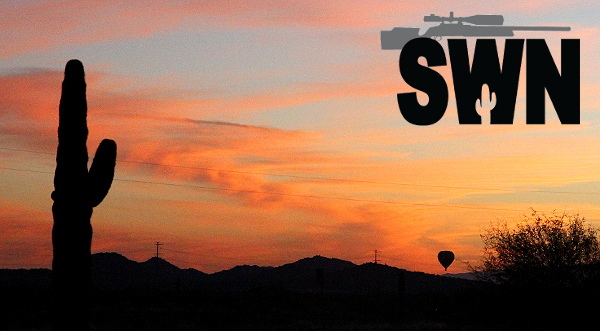 Share the post "Trudie Fay, Derek Rodgers, and Bob Sebold Win at Berger SWN"
Can anyone tell me where I can find an equipment list for Berger SWN?